How Does Teeth Whitening Mouthwash Work? Home Teeth How Does Teeth Whitening Mouthwash Work? It has been estimated that the oral health is one of the most neglected aspects of daily human lives. As individuals, we have a tendency to forget the importance of oral health in our daily lives. Failure to maintain a proper oral health can lead to grave consequences. It has been observed that the individuals with poor dental hygiene tend to have a higher risk of diabetes. Poor oral health not only mars your personality but also affects your physical health. There are different ways through which one could improve his/her oral health. Many individuals tend to rely on teeth whitening mouthwash. But is it important to determine does teeth whitening mouthwash work? 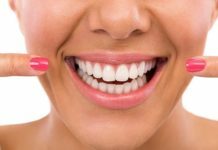 In this article, we would be exploring different aspects of Teeth whitening mouthwashes to determine whether they are the best for maintaining oral health or not. Does Teeth Whitening Mouth Wash Compromise Your Enamel? It is important to understand that market is always filled with substandard products that do not maintain the same level of quality as the premium products on the market. Those substandard teeth whitening mouthwashes can actually ruin the strength of your enamel. 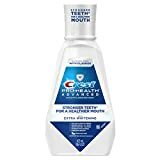 But the professional teeth whitening mouthwashes only contain Carbamide and Hydrogen peroxide that oxygenate the teeth surface to provide them with a natural glow. Hydrogen peroxide is naturally produced by our body as well to maintain different functions. Therefore if you rely on these quality products then you would not have any risk of damaging tooth enamel. Does Teeth Whitening Mouth Wash Use Harsh Chemicals? Not really true, the teeth whitening products have been around for quite some time. Majority of the dental bodies across the globe consider teeth whitening mouthwashes safe for maintaining oral health. But before selecting any product it is important to determine with it is accredited by the relevant body or not. Any product that is not considered safe by your local dental authority needs to be avoided at all costs. You also need to ensure that the mouthwash that you choose relies on Hydrogen peroxide to strengthen the teeth rather than have an acidic base. 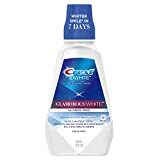 The best mouthwash for whiter teeth would only use elements that are naturally produced by the body rather than artificial acids that can cause serious damage to your gums and soft tissues. Are All Mouthwashes The Same? Like any other category, some products tend to have better quality while others don’t. Similarly, the Teeth whitening mouthwash category has some premium products as well as some substandard products. As a layman, you need to read the active ingredients in the mouthwash to determine whether it’s safe for you or not. The mouthwash that contains hydrogen peroxide or Carbamide peroxide tends to be the safer option. The local dental authority accreditation is also important that usually guarantees that the product meets all the safety standards set out by your local government. 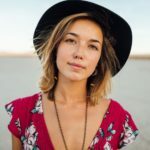 The mouthwashes with hydrogen peroxide tend to be more expensive as it is a fast reacting chemical that quickly shows results while having little to no risks. The Carbamide peroxide, on the other hand, is slower and usually requires a longer period of the application before its results are visible. 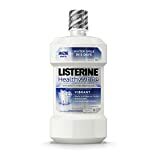 Does Teeth Whitening Mouthwash Work or Do I Need to See a Dentist? There is no universally accepted answer to this question as each individual’s case would be different. If you are a normal individual with general oral hygiene then a mouthwash is more than enough to keep your teeth looking white and healthy. But if you suffer from poor dental health and usually don’t brush twice a day or consume products that serious damage the oral health then you need to consult a professional dentist to improve your dental hygiene. Even the premium teeth whitening mouthwash can’t compare to the care of a professional dentist. As a normal individual, the teeth whitening mouthwash should be more than enough. Can I use Whitening Mouthwash if I have Dentures? The Majority of the mouthwashes uses Hydrogen peroxide or Carbamide peroxide that can clean all kinds of surfaces. The dentist usually recommends the use of mouthwash with your dentures to avoid plaque and bacteria build up. Therefore the teeth white whitening mouthwashes are absolutely safe for any individual with dentures. It is clear that the answer to Does Teeth Whitening Mouth Wash Work is “Absolutely Yes”. A premium mouthwash would cause no damage to your gums or enamel and is guaranteed to keep your teeth looking white and healthy. 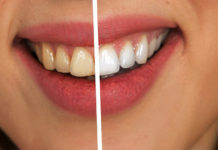 Even the individuals who suffer from yellow teeth can experience substantial improvement in their dental health by using a good dental whitening mouthwash. The teeth whitening mouthwash is absolutely safe.